24 hours after the release of the image of the black hole by the European Southern Observatory (ESO) on Wednesday, Visual China Group (VCG), China's largest stock image provider has been put under the spotlight on social media over its copyright scandal. The incident first came when VCG watermarked and claimed copyright for the black hole image on their website on Wednesday, shortly after its release. In other words, VCG was claiming through its actions that any unauthorized use of the image by publishers in Chinese mainland would face possible infringement lawsuits. As public attention mounted over the validity of its claims, reports from the National Business Daily revealed that the ESO did not sign any copyright transfer agreement, nor did it have any communication with VCG regarding the copyright of the black hole image. 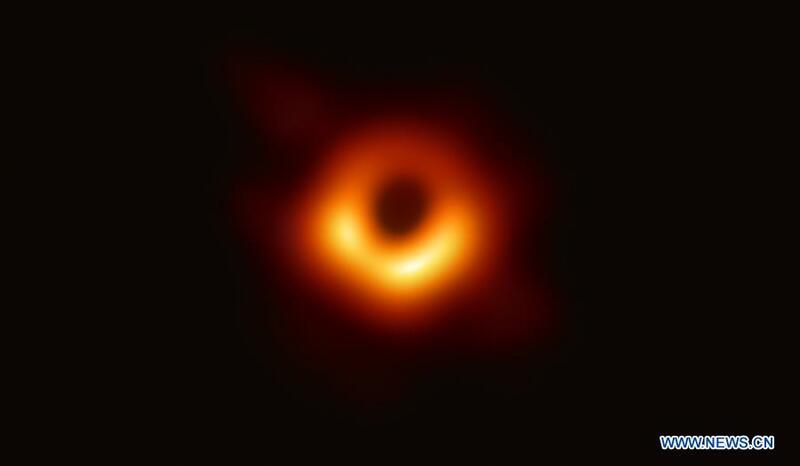 "The copyright for the very first black hole image belongs to Event Horizon Telescope Collaboration (EHT), of which the ESO is a subordinate body. Unless specifically noted, all the contents published on the ESO website are licensed under a Creative Commons Attribution 4.0 International License. As long as the credit is clear and visible, these images can be used for free, even for commercial purposes", the ESO wrote in their reply to an enquiry from the National Business Daily. Besides the black hole image controversy, VCG also faced past criticism for claiming the copyright and pricing the images of the national flag and the national emblem on its website. Their claims have since been invalidated. In addition, VCG had to issue two apology letters for its poor review and management policy, as a way of rectification ordered by the cyberspace affairs authority in Tianjin. In view of the one-sided criticism over copyright issues toward VCG, CCTV.com noted that legal standards should be the criteria of all judgements. "The liability of VCG lies in, first and foremost, blackmailing a third-party using images with common attribution license and faking copyright. Furthermore, the racketeering style of claiming compensation for copyright can also be troublesome for media companies." Photographs of products and buildings of a company alone cannot be copyrighted. Instead, a photographer must have contributed their intellectual effort during the shooting, such as through the adjustment of lighting and contrast ratios. In such cases, copyright can be justified in those photographs. CCTV.com also suggests that the change from extensive copyright infringement in the past to the current massive criticism over VCG's copyright scandal shows an improvement in China's efforts to protect copyright. This incident also provides a big opportunity for China to strike a balance between the protection of, and the authorization of copyright issues.